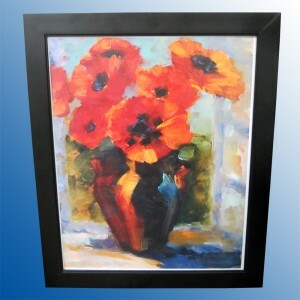 Framing and mounting applications including plaques are commonly finished using mechanical presses and vacuum presses. Framing applications may feature multi-layered surfaces mounted together with a dry mount tissue and protected by a Finish Guard™ vinyl laminating film from D&K. NTMT – New Technology Mounting Tissue – Featuring SuperStick® adhesive technology for most mounting applications. 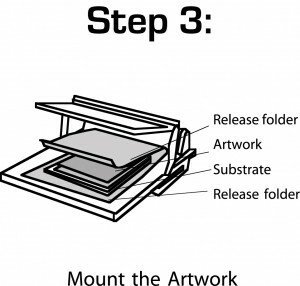 RagMount™ – Designed for long term mounting of fine art items. BufferMount® – Reversable tissue compatible with most substrates. Fusion 4000® – Clear adhesive for textured surfaces. 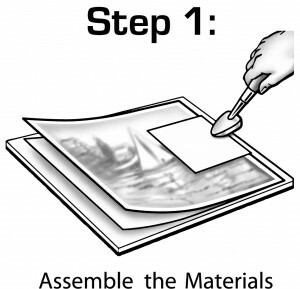 Step 1: Assemble the materials for mounting (if desired) by placing a dry mount adhesive on the back of the artwork. Tack into place with a tacking iron. 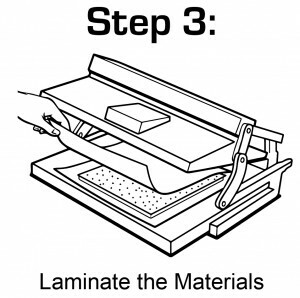 Step 2: Cut the Finish Guard™ Laminating film to the approximate size of the artwork. Remove the release liner and apply the film to the face of the artwork, smoothing with a soft cloth. For large prints, apply the Finish Guard™ film by peeling back the release liner one inch and applying the exposed film to the print. 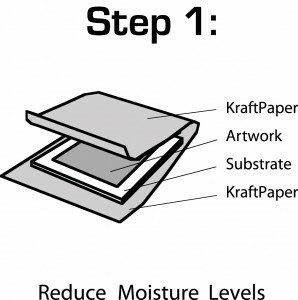 Peel off the rest of the release liner while smoothing the film onto the surface of the print. 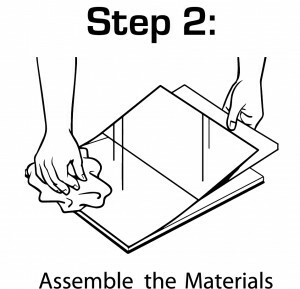 Step 3: Cover the assembled materials with a sponge foam overlay. 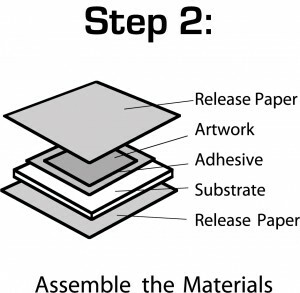 Place this assembly between two pieces of release paper and insert into the press. Process the materials according to the suggested time chart included with each roll of Finish Guard. Step 4: Remove the materials from the press and place an Expression weight on top. 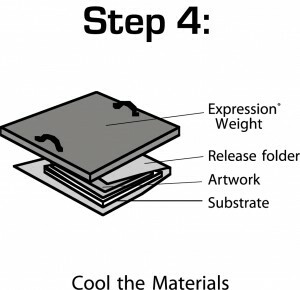 This will help cool the materials faster, give a flat finish, and increase the adhesive bond strength. 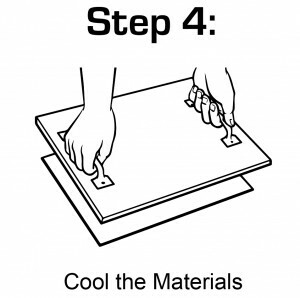 Do not bend, flex, or otherwise test the bond strength until fully cooled. For more information or technical assistance, contact D&K Framing Products toll-free at 888-240-6021.